Window Glass: Let The Light Shine Into Your Home! Enhancing the safety, energy efficiency and noise protection in your home is made easy when you choose the right window glass. We asked some experts for average prices, and provide some useful tips that will help you make the right decision. How much does each type of glass cost? With so many types of window glass to choose from, it is important to know what you can expect to pay for each one. We tried our very best to find prices for the different glass variations and we found that the many configurations of windows as well as the varying installation costs make estimating prices based on glass differences almost impossible. Thankfully, we had some specialists at our disposal to help us find some useful price points. We asked for the prices for one specific window in order to give you an idea of what one window might cost with the three most common glass specifications on the market. Keep in mind that all of these glass types would be A-rated for energy efficiency. For special acoustic protection glass, you can generally add around £90 to the price of your window. Other types of glass such as mirrored, self-cleaning and other special coated glass will come at different costs. This will depend on your window provider and their supplier. For such special requirements, speaking to a professional is the best course of action. We estimate that you want to add around £35 to the price of your window for toughened glass. If you require laminated glass, the final price of your window will increase by £50 relative to the price of a window with standard A-rated glass. A specialist from Caddy Windows in Bristol told us that they do not charge extra for different glass types, but that a casement window as described above would cost £364 for installation excluding VAT and £437 including VAT. 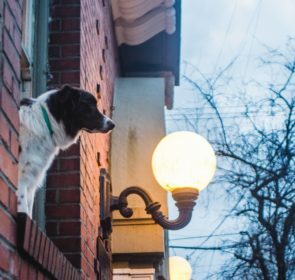 If you are looking for other requirements, the best thing to do is talk to local professionals who will be able to advise you as to the best window choice for your particular situation. This is an especially good decision if you are concerned about prices, since they can vary so much. If you are still curious about how much it could cost you to have special glass in your windows or even just standard glass, you are in the right place to get all of your questions answered. Our trusted professionals are on hand to discuss all of your window needs and desires. Start by filling in your postcode, and receive up to 4 quote requests via email in under two working days. This way you will find the best company for your needs and have the right windows, resulting in a lighter, brighter future for you! Our no-obligation form is free to submit and could save you 40% on the price of your new windows. 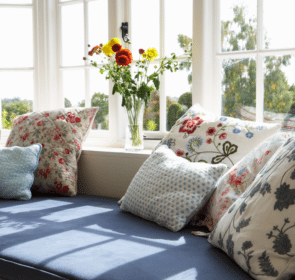 What are the benefits of each type of window glass? The types of glass that are most in demand in the UK are all A-rated. The window glass itself will not make much of a difference in the energy efficiency of your home. Each type is extremely energy efficient. Many double glazed windows are almost as efficient as their triple glazed counterparts. Triple glazed windows will afford you extra noise protection which can be an important benefit. With that in mind, we will describe the qualities of each of these common window glass types as well as other specifications you can ask a professional about. 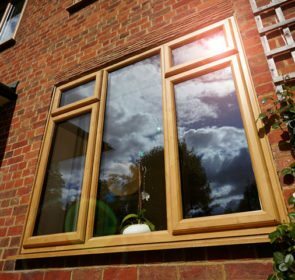 Your average new window in the UK is held to a very high quality standard in terms of energy efficiency and safety. 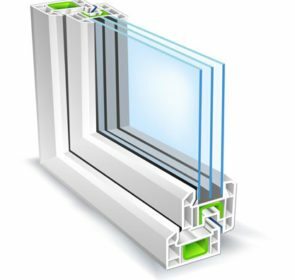 With that in mind, standard glass will fulfill all of your most basic requirements such as avoiding draughts, condensation and energy loss, since most double glazed windows are filled with an inert gas like argon. Standard glass is also cheapest, and represents the optimal choice for those who are home improving on a budget! Laminated and toughened glass are specifically produced for safety and security reasons, and are fairly standard varieties that we explain below before moving on to other special glass types. Toughened glass is mandatory in all new replacement doors, and windows in “critical locations”. This means that wherever small children or pets could run into the window, the glass should be toughened. 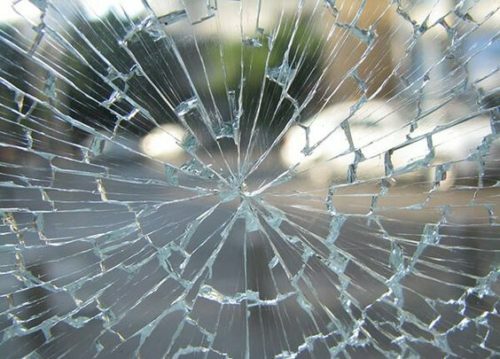 The window glass will break safely and will not break as easily when impacted. Toughened glass is an alternative safety option to laminated. This is because it is also resistant to breaking but will not hold together when shattered. Instead it will break into small, blunt and harmless pieces of glass. The following glass types are available on request from many window providers but certainly not all of them. You can also ask for these kinds of glass to be toughened or laminated, as their features are extra bonuses. This kind of glass is perfect for those spaces that you need some extra privacy in. It especially suits front doors and bathrooms. In conservatories or atriums, where solar heat gain may be an issue, this glass helps to keep heat gain to a minimum. Glare is kept to a minimum, too! This type of glass is uncommon for domestic uses. However if you are concerned about fire outside your home, this glass will protect you for up to two hours. This window glass is especially useful where the window is in a hard-to-reach place. The low-maintenance glass with a special coating helps to break down dirt. This dirt is then washed away by the rain, making cleaning an absolute breeze. Glass is one of the many factors that can determine the price you will pay for new windows. However, the most important factor is you! The type and style of window glass that you purchase will depend on how well informed you are about your needs and the prices. In order to get the best price, you need to compare local providers and speak to them about your personal needs. This way, you won’t pay more than necessary. Fill in our obligation-free form and get started. Save money and time by getting professional opinions in your inbox within 2 working days.